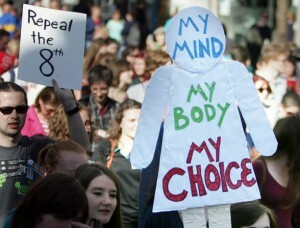 Repealing the Eighth Amendment: As Simple as it Sounds? 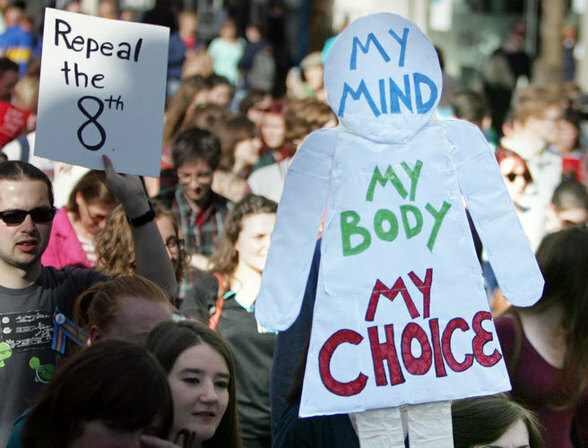 2014 saw palpable growth in support for the repeal of the Eighth Amendment to the Irish Constitution, which guarantees the right to life of the unborn. While there has long been a call to this effect from the pro-choice lobby, the thing that changed in 2014 was that it became increasingly clear that this debate is not just about abortion. While the controversial Miss Y case was focused on access to abortion, the year ended with the tragic case of PP v HSE, which concerned the termination of life support for a brain dead pregnant woman and had nothing to do with abortion. The result was an intensification of the calls to “Repeal the Eighth”, with the Minister for Health, Leo Varadkar, and the Tánaiste, Joan Burton, both expressing the view that this should happen (albeit not before the next election). “Repeal the Eighth” is a catchy slogan that seems, on its face, appealingly straightforward. However, leaving aside the political difficulties, the process may not be as legally straightforward as highlighting the relevant text and pressing the delete button. For starters, what about the Thirteenth and Fourteenth Amendments (travel and information)? If the Eighth Amendment were simply deleted, then these should follow, as they refer back to it and would make no sense in its absence. But what if the Eighth Amendment were to be modified rather than deleted entirely? Could the travel and information clauses remain, or would they need to be modified or deleted? The intention behind repealing the Eighth Amendment entirely would be to take the issue of the unborn out of the constitutional realm altogether, leaving it to the discretion of the elected branches of government to legislate for, and eliminating the all-too-familiar interventions of the courts. But would this suffice? If the Eighth Amendment were deleted entirely, would legislation providing for broader access to abortion be immune from constitutional challenge based on the right to life of the unborn? There is an understandable reluctance to go further and to replace the Eighth Amendment with a new provision that stipulates the balance to be struck (in whatever way) between the rights of the mother and those of the unborn. Any such provision would be extremely difficult to draft, fraught with the deepest controversy, and would have the same potential disadvantages that the Eighth Amendment itself had: scope for unintended consequences and inflexibility when they arise. Having said all of that, there are potential complications arising from leaving things unsaid also. Any Irish judge will interpret the Constitution “light of prevailing ideas and concepts”, to use the oft-cited words of Walsh J from McGee v Attorney General  IR 284. While this means that the values of today’s generation are to prevail over those of their ancestors, it also has the more general implication that constitutional meaning is informed by values and opinions that are deeply rooted and widely shared in Irish society. Our history is one where unborn life has been accorded a highly significant status – protected by the criminal law for centuries and by the Constitution for at least three decades. Even in jurisdictions with liberal abortion regimes and no constitutional or legal recognition of the right to life of the unborn, the courts have nonetheless recognised that the unborn has some sort of legal status. For example, in St George’s Heathcare NHS Trust v S  3 WLR 936 at 952, the English Court of Appeal stated that “whatever else it may be a 36-week old foetus is not nothing; if viable it is not lifeless and it is certainly human”. Similarly, the US cases of Roe v Wade 410 US 113 (1973) and Planned Parenthood v Casey 505 US 833 (1992), while protecting a right to an abortion, also recognise a State interest in protecting unborn life that grows stronger as the pregnancy progresses. The point of all of this is that the Irish courts, operating in a cultural context more protective of unborn life, would be likely to go further down this road than their English and American counterparts in the absence of clear directions to the contrary – and constitutional silence is not a clear direction to the contrary. In fact, should the courts be so minded, the pre-1983 case law gives them support to go so far as to conclude that the unborn still has a constitutional right to life. There are two ways to view this passage. One (quite valid) perspective is to point out that its references to the unborn are entirely obiter dictum, since the case at hand did not concern an unborn child; accordingly, it is far from a solid foundation on which to construct a constitutional right to life for the unborn, particularly in the aftermath of a vote of the people to remove the provision that expressly recognises that right. Thus, it is entirely within the bounds of possibility that the repeal of the Eighth Amendment, without any substitution of an alternative provision, would leave the constitutional right to life of the unborn intact. What would have changed is that there would no longer be an express reference to the “equal right to life of the mother”. Because the right would be based on judicial interpretation rather than express text, it would be somewhat more malleable than the Eighth Amendment, but it would be no clearer in its precise scope and boundaries. There would be something of a blank canvas on the question of when that right must give way to other rights. The legislature could seek to fill in that canvas, and the courts would probably be highly deferential to legislative choice in such a sensitive and divisive field. However, the precise scope of this deference cannot be guaranteed, and legislation providing for a more liberal abortion regime would remain susceptible to constitutional challenge. The history of this debate in Ireland suggests that such a challenge would be almost inevitable. What are the alternatives? Obviously, the answer depends on what the law is trying to achieve. If the issue is to be left to the discretion of the Oireachtas, Article 40.3.3° could be amended so as to read something like “The protection of unborn life shall be regulated by law”, or “The termination of pregnancies shall be regulated in accordance with law”, or “The circumstances in which it shall be permissible to terminate a pregnancy shall be specified by law”. A provision designed to slightly liberalise abortion laws while also acting as a bulwark against a more liberal regime could stipulate that “The intentional destruction of unborn life shall be an offence punishable by law, save in the following circumstances: XYZ”. A provision designed to protect an unencumbered right to choose could stipulate that “No law shall be enacted restricting the right of women to choose to terminate pregnancies prior to the viability of the foetus, as specified by law”. Clearly, none of the above options is without its drawbacks, with the biggest being the political difficulty involved with choosing which one to put on a ballot paper. It has been proposed that this could be resolved by a Constitutional Convention, which is an interesting proposal that could build on the positive experience of the limited Convention held in 2013. However, there would inevitably be enormous controversy around the composition, terms of reference and conduct of such a body, and it is difficult to see either side of the debate happily accepting its recommendations. Thus, for political reasons, a simple repeal with no replacement is the most likely proposal to make it to a ballot paper. What this brief consideration has aimed to demonstrate is that this may not be the panacea that it is tempting to think it will be. This entry was posted in Eighth Amendment and tagged Abortion, Eighth Amendment. Bookmark the permalink.